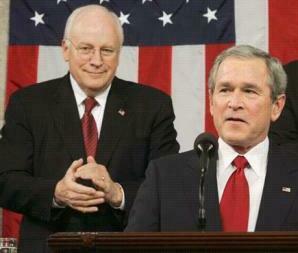 A Grand Jury May Answer the Question: Who Is Accountable for a War Started on The False Claims That Iraq Had WMD? Perhaps a grand jury will answer his question on accountability. Pending in Washington at the United States District Court for the District of Columbia is a report and request to the grand jury that it conduct an investigation of the Bush Administration’s false and fraudulent statements that Iraq had sought uranium for a nuclear weapon. (See and click on attachment # 1 at the end of this article.) In that report I contend that said statements violated the criminal statutes 18 U.S.C. § 1001 and 18 U.S.C. § 371 that prohibit making false and fraudulent statements to Congress and conspiring to obstruct the functions of Congress. My sending such a communication to the grand jury is not illegal. The statute that makes it a crime to attempt to influence a grand jury by writing or communicating to a grand juror, 18 U.S.C. § 1504, states: “Nothing in this section shall be construed to prohibit the communication of a request to appear before the grand jury.” As explained later, the law clearly allows a grand jury to conduct its own independent investigations without the consent or participation of the Justice Department. But my request for a grand jury investigation only comes after the Justice Department has refused to investigate the matter. In March I submitted a 155-page report to Attorney General Eric Holder asking him to appoint an outside Special Counsel to investigate the false and fraudulent statements that President Bush and members of his Administration made that Iraq had sought uranium for a nuclear weapon. (See and click on attachment # 2 at the end of this article.) In that report, which was based on an analysis of the public record and the law, I contended that said statements violated the above criminal statutes 18 U.S.C. § 1001 and 18 U.S.C. § 371 that prohibit making false and fraudulent statements to Congress and conspiring to obstruct the functions of Congress. The Bush Administration’s statements that Iraq had sought uranium for a nuclear weapon were the most alarming statements that the Administration made to support its claim that Iraq had weapons of mass destruction and therefore a preemptive war against Iraq was necessary. In my report to Holder I cite the consistent prior warnings that the CIA and another intelligence agency gave to the White House that discredited the uranium claim as being weak and not credible. The CIA and other intelligence agency gave those warnings to the White House over a four-month period prior to when President Bush and his senior officials made their uranium claims. Furthermore, a week before President Bush and his officials made their uranium claims the State Department’s intelligence bureau actually told the CIA that the documents in support of the uranium claim were probably a hoax and a forgery. Also in my report to Holder I cite the reports of the UN weapons inspectors that Iraq did not have a nuclear weapons program. Holder obviously never appointed an outside Special Counsel. Previously, the Bush Justice Department rejected Congressional requests for an investigation into the Bush Administration’s uranium claims. Also the Attorney Generals in the Bush Administration rejected my requests to appoint an outside Special Counsel to investigate the uranium claims. In September I submitted the above mentioned report to the grand jury at the federal District Court in Washington requesting it to conduct an investigation of the Bush Administration’s uranium claims. That report is 44-pages long. In my report I incorporated by reference the 155-page report that I had submitted to Holder and I included it with my report to the grand jury. In my report to the grand jury I also attached an indictment against President Bush and other officials for violating the above statutes by making their uranium claims. Furthermore, I asked the grand jury to sign that indictment and to return it in open court even if the Justice Department refuses to sign the indictment and commence a formal prosecution. Also I asked the grand jury to invite me to appear before it to further explain these matters. At this stage I did not submit the above reports directly to the grand jury but sent them to the clerk’s office and in a cover letter asked that office to submit said matters to the grand jury. In that letter I stated that the reports should be submitted to the grand jury that has the longest period of service remaining, and if there is only one grand jury and it has less than three months of service remaining, then the reports should be submitted to the next grand jury. In the cover letter I also stated that the clerk’s office should allow the judge who impanels grand juries to first review said matters before the clerk’s office submits them to the grand jury. Also I sent copies of the said two reports to the United States Attorney for the District of Columbia. The clerk’s office phoned me on October 5 and told me that it did not know which judge impanels the grand jury. In a subsequent phone conversation that day we agreed that the matter should be referred to the chief judge. It has been almost three months since that conversation on October 5 and I have not received any information regarding whether the clerk’s office or the court submitted my report to the grand jury. The law allows me to send such communications to the grand jury to report crimes. As mentioned above, the statute that makes it a crime to attempt to influence a grand jury by writing or communicating to a grand juror, 18 U.S.C. § 1504, states that it is not a crime to send a communication to a grand jury requesting to appear before it. Furthermore, the law clearly allows a grand jury to actually conduct its own investigations without the consent or participation of the Justice Department, and the law allows that grand jury to return an indictment in open court against President Bush and his officials even if the Justice Department’s prosecutors refuse to sign that indictment. Rule 6(a),(c),(f) of the Federal Rules of Criminal Procedure states that when a grand jury, which consists of 16 to 23 members, votes to indict at least 12 members must concur in support of the indictment and if so then the foreperson (or if absent the deputy foreperson) must sign the indictment, and the grand jury or its foreperson or deputy foreperson “must return the indictment to a magistrate judge in open court.”[Emphasis added.] Under the later Rule 7(c)(1), the prosecutor then signs the indictment, but that is after it was returned in open court. If the prosecutor or government attorney refuses to sign the indictment then there is no subsequent formal criminal prosecution. Also the grand jury can begin such independent investigations by inviting specific people to appear before it rather than rely on the government to present them. The District Court for the District of Columbia in the case of Simpson v. Reno stated that an “individual may appear before a grand jury only at the invitation of the grand jury, the prosecutor, or the court of the appropriate jurisdiction, in its supervisory capacity.” Thus the grand jury has as much discretion to invite an individual to appear before it as the government does. Obviously for the grand jury to exercise its discretion and to invite an individual to appear before it, the grand jury must be aware of the existence of such an individual. An obvious way for the grand jury to be aware of my endeavor to appear before the grand jury was for me to submit a communication to the grand jury asking to appear before it and detailing the information that I wanted the grand jury to investigate. The more information that I provided the more the grand jury can make an informed decision regarding whether or not to invite me to appear before it and whether my request for an investigation is frivolous. As noted earlier, the law allows me to submit such requests since the statute that makes it a crime to attempt to influence a grand jury by writing or communicating to a grand juror, 18 U.S.C. § 1504, states that it is not a crime to send a communication to a grand jury requesting to appear before it. Furthermore, in addition to starting an investigation as a result of reading the above communication consisting of the reports to the grand jury and Holder, the grand jury can start its own independent investigation as a result of reading this article and then reviewing those reports. Both reports are available and can be printed after clicking on the attachments at the end of this article. The grand jury can also sign and returnin open court the indictment at the end of the report to the grand jury. The grand jury can also after reading this article invite me to appear before it to further explain these matters. (My address and phone number are on the front cover of my report to the grand jury.) As noted above, the District Court for the District of Columbia has stated that “[t]he grand jury may pursue investigations on its own without the consent or participation of a prosecutor…. and may return a draft indictment even though the government attorney refuses to sign it.” Thus the grand jury can do all the above things without the consent or participation of the Justice Department. Also it should be noted that I am not violating grand jury secrecy rules by publishing this article about matters that I submitted or want to submit to the grand jury. The rule concerning grand jury secrecy, Rule 6(e)(2) of the Federal Rules of Criminal Procedure, states that “[n]o obligation of secrecy may be imposed on any person except in accordance with” that rule, and then that rule lists the people who must not disclose a matter occurring before the grand jury. That list of seven types of people, such as attorneys for the government, does not include witnesses or potential witnesses who send communications to the grand jury. Furthermore, even though more than five years have elapsed since said officials made their uranium claims, the five year statute of limitations, 18 U.S.C. § 3282(a), would not present much of a problem because under the legal doctrines of equitable tolling and equitable estoppel, the statute of limitations would be considered tolled or suspended for the above crimes for the years that President Bush and his senior appointees had control over the Justice Department. Such a conclusion would be supported by the fact that, as mentioned above, the Bush Justice Department refused Congressional requests to investigate the Bush Administration’s uranium claims and refused my requests to appoint an outside Special Counsel. Furthermore, the statute of limitations is an affirmative defense that once indicted a person must raise in court or else it is waived. Although it would be preferable for the Justice Department to appoint an outside Special Counsel to prosecute President Bush and allow a regular jury to return a conviction in open court, the grand jury by conducting its own investigation without the consent or participation of the Justice Department and by returning an indictmentin open court could perhaps achieve the same result – preventing other unnecessary wars. As of December 19, there have been 4,360 American soldiers who have died in the war in Iraq and 31,606 American soldiers who have been wounded in action. Civilian casualties in Iraq have been much higher. Such a public indictment by the grand jury acting independently of any branch of the government, as allowed under the above case of In Re Report & Recommendation of June 5, 1972 Grand Jury, would hold President Bush and his officials accountable for their conduct in starting a war based on the fraudulent premise that Iraq had weapons of mass destruction. Francis T. Mandanici is a lawyer in Connecticut.